I was asked to write a blog about raising a child with a disability from a Dad’s perspective. At first I thought this would be a great topic. But then I was like, “what the heck is a blog”? So, after discussing what a “ blog” is, I am like, I can do this because a blog is just like talking to someone, but in written form versus spoken. I can do that because I sell for a living and can talk forever, the hard part is to make it worthy of reading. I hope you like my perspective/story. To start there are more than 5 steps to raising a child with a disability but I will try to be concise. My story starts with raising 2 children with disabilities. I have 15 year old twins that were born 1 week shy of 3 months ( 29 ½ weeks) early. From a Dads point of view I say 1 week shy of 3 months early because let’s face it, us men don’t really know the gestation ( a time a woman is pregnant) is actually 40 weeks. My twins came at 29 ½ weeks early. Not only were they 29 ½ weeks early, they also had I.V.H.’s ( intra-ventricle hemorrhage). Basically, they suffered strokes. The main focus was for my son Alex, who suffered a level 4 bleed. We were told he had a 10% chance of leading a “NORMAL” life. To say this was devastating news is an understatement. I can tell you every little detail from who was in the room, down to what the weather was like outside. What I can’t tell you is how I felt when we received this devastating news. It was like an out of body experience. I heard the news, saw the test results, but couldn’t process what was said. We all have paths we go down in life. You get the news you’re going to have a child, your path changes. No, but wait, you’re not having one, you’re having 2. I recall telling the news to my In-Laws and the first response from my mother-in-law was, “ how are you going to afford that”? Now, in my self-defense, I am kind of a smart allec, so, I told her we were going to give one up for adoption. The silence was deafening. Looking back at it now, it was a legitimate question. After all, we will need 2 of everything. So, for the better part of 6 weeks, I worked, went to the hospital and back home to sleep. That was my entire routine. I had to (by my own will) continue to sell. I had a family to support and just because they had “special needs” didn’t mean I could take time off to be with them 24/7. 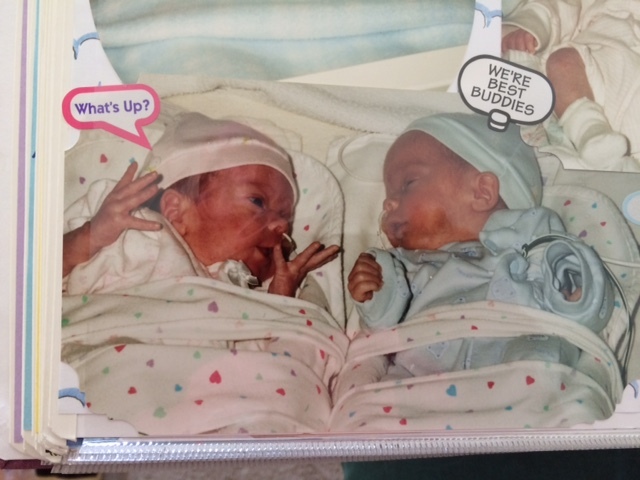 Back to the births; they were in the NICU for just under 2 months and on Friday, October 13th 2000 both twins came home. For the first 6 weeks of their lives, they were taken care of by “the best of the best”. All of a sudden we really were experiencing raising our twins. Sorry, but that scared the crap out of me. How was I going to “afford” the diapers? Premature diapers are more expensive than regular diapers. These are the thoughts going through my head. Forget about clothes, none fit as the clothes were too big. We faced the harsh reality that our kids needed help. We had the support from the hospital as to what they needed but it was up to us to get it done. So, from the very first month they were home, we had therapists at the house almost every day. We had: O.T./D.T./P.T and a few other initials I don’t recall. So, when Kelly asked me to write this blog on 5 steps to raising a child with special needs, I couldn’t wait to share our story, because it is uncommon to have twins with the same special needs. Do whatever the experts tell you to do to give your child/children ever opportunity to succeed. Never, ever give up or give in. 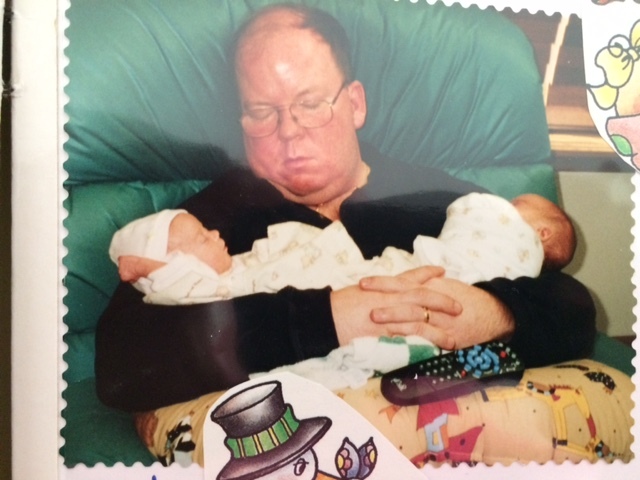 My son, who we were told had a 10% chance of leading a “normal” life is doing exactly that. He has inherited my sense of humor (for what it’s worth) but he has also defied #1. He defied the experts because he can walk, talk and take care of himself. All the things we were told he wouldn’t do. My feeling is that the doctors tell you to prepare for the worse but pray for the best. I can tell you that he has defied the odds despite what we were told his quality of life would be. The best non-advice, advice I got was from a client of mine. Let me explain. I was on a sales call with this guy who owned 5 McDonald’s in Chicago. When I first saw him (the twins were about 2 years old), I knew by looking at him walking towards me what his disability was. So, for the first 2 hours, we talked about him and my twins. I told him my story and he shared with me his. Now, this McD’s owner is in his late 50’s, born on the west side of Chicago in the early 1950”s and, has 5 other siblings. I will also point out he was Mexican-American. I only point this out to help paint the picture that this man had so many disadvantages going for him based on where he lived, his ethnic background and the time he was born. His disability was “identical to my sons” other than being on different sides of the body (my son is left side effected he was right). So as we continued to talk and knowing nothing about raising kids with a disability, he gave me the best non-advice (advice I didn’t ask for). I asked him how he turned out the way he did. He told me that kids like him back in the 50’s & 60’s were institutionalized because they didn’t know how raise kids like him. So, he answered my question this way: His parents didn’t raise him to believe he had a disability. They found ways for him to do the things other “Normal” kids would do. If he wanted to play stick ball, he would use a fishing net as his glove. This was the single best advice I have ever received (even to this day). Don’t let the disability define your child. I talk a lot about my son Alex and his struggles, but my daughter Amanda has her issues too. But, she doesn’t let her disability define her, she beats it away with her competitiveness and her resourcefulness. There are a lot of differences between the twins, but there are just as many similarities as well. Each child with a disability is different and raising twins, I sometimes forget that. Regardless of the “ABILITY”, get your kids active and involved in whatever you can get them involved in. Seek out support groups, talk to other parents. Never, ever give in to self-pity (oh, woo as me mentality), your family needs this strength as the father. But as the father, make sure you have a support network too (besides our spouses). It’s ok to feel and to cry and to worry about your children; just know that there are others out there that do know what you are experiencing and that you can benefit from others stories. And, at the end of the day, that’s all we have; stories. Sharing, for me, is therapeutic. No matter how bad you think you have it, someone always has it worse. We are just too caught up in our own circumstances to recognize this. Once you have time (a few years from now) and reflect back on your own story, I hope you come to the same conclusion I did. We do what we do for our kids, regardless, because that’s what this Dad did. I hope you liked my story. I tried to keep it on topic but as I type and talk at the same time I kind of jump from story to story. But in the end, I think you can get an appreciation of this dad’s perspective. 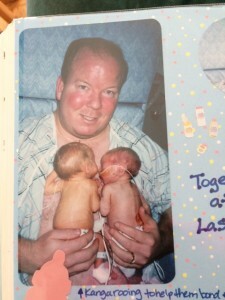 He is a father of twins born with CP. From Chicago just wanting to share how he does life with his kids who happen to have a disability.